Bonds illustrated in the music of KINGSGLAIVE FFXV ― FINAL FANTASY XV is the 15th and latest numbered title in the FINAL FANTASY franchise, which has sold more than a cumulative 115 million units worldwide. There is another story that shares the same world, time, and characters as FINAL FANTASY XV. The full-length CG feature KINGSGLAIVE FINAL FANTASY XV realizes a fully linked media mix made possible only by the same production team as the game. 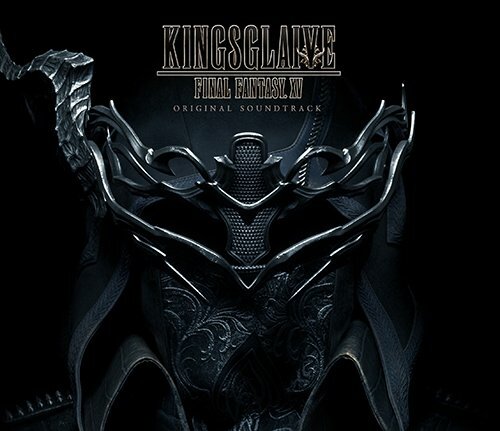 The soundtrack to KINGSGLAIVE FINAL FANTASY is a 2-disc set full of memorable music composed by John Graham, with the main theme by Yoko Shimomura.